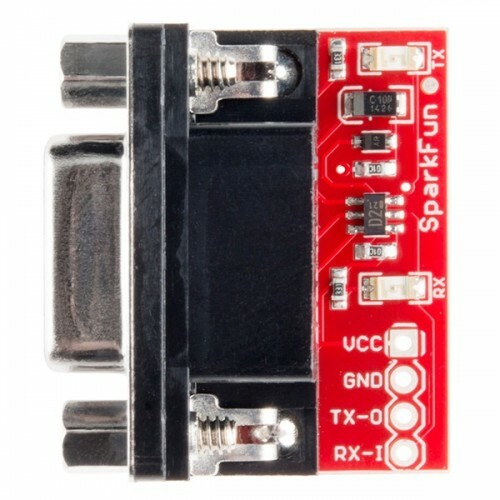 Sparkfun have created the smallest and easiest to use serial conversion circuit on the market! 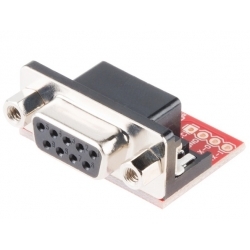 This board has one purpose in life - to convert RS232 to TTL and vice versa (TX and RX). This will allow a microcontroller to communicate with a computer. 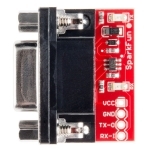 Shifter SMD is powered from the target application and can run at any voltage! That's right - power the board at 5V and the unit will convert RS232 to 5V TTL. Power the board at 2.8V and the Shifter board will convert RS232 to 2.8V CMOS TTL. Includes two indicator LEDs for TX and RX. Runs from 300bps up to 115200bps.